The Newfoundland and Labrador government says more consultation is needed on an issue it has been debating for years. Like a lineup at the grocery store, the debate around banning plastic bags seems never to end. In 2015, Municipalities Newfoundland and Labrador began pushing the issue with the provincial government. In 2017, an extensive government report was completed. But last week, Environment Minister Graham Letto stepped to the microphones for an announcement: government was starting another round of public consultations on the issue. The press were not impressed. "Why do you need to do more consultations? Why can't you or this government make a decision?" asked CBC's Anthony Germain. "You've seen the pictures of bags inside whales, you've seen turtles eating these bags. I just don't understand why there isn't leadership. You don't need consultation right now; what you need is leadership." Letto took the grilling in stride, saying his style of leadership is to consult and make decisions based on the information received. But his tormentors in the press gallery aren't the only ones disappointed by the minister's decision to … defer making a decision. 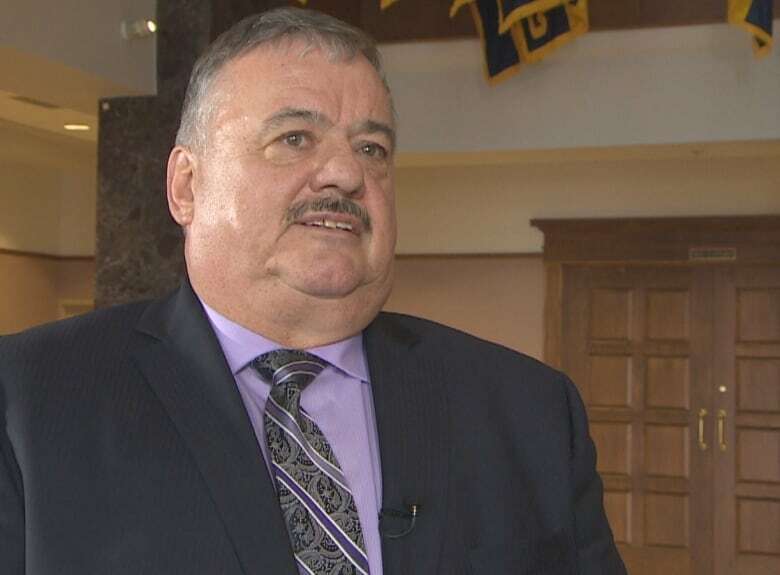 "It's something that we think the province should have done by now," said Tony Keats, president of Municipalities Newfoundland and Labrador, and mayor of the Town of Dover. Remember, Municipalities Newfoundland and Labrador has been pushing for a bag ban for the past four years. "It do get on your nerves because it takes so long to do stuff," said Keats. "And when you've got pretty well the majority of the public on your side, it's a no-brainer. It's a win-win for everybody. Especially when you've got other things on your plate and this takes up so much time." But Letto says more time is exactly what we need. "There's only one province in the country that's done this. That's Prince Edward Island," Letto reminded reporters at his press conference. "They brought in a ban. They learned from their implementation that they did it too quickly. The feedback they're getting now is that they did not do enough consultation." I decided to consult with P.E.I. In Canada's island province, a ban on plastic bags is coming July 1. 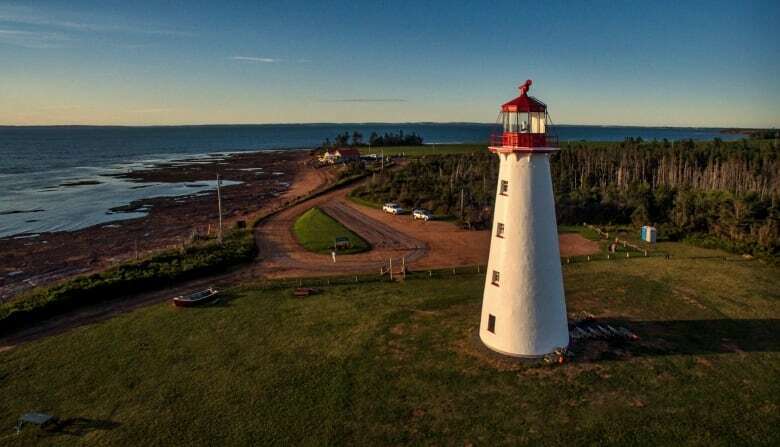 John Hughes, the director of special projects with the Prince Edward Island Department of Community, Lands and Environment, says people there demanded action. "On Prince Edward Island, we're a relatively small jurisdiction, but we use up about 30 million single-use plastic bags a year," said Hughes. Newfoundland and Labrador uses more than 100 million plastic bags a year. When the ban takes effect, retailers in P.E.I. will be prohibited from distributing plastic bags. There will also be a minimum fee for paper or reusable bags. "They will be a viable alternative, but we don't want to simply replace 30 million plastic bags with 30 million paper bags. So the purpose of the fee is to discourage the excessive use of single-use packaging," said Hughes. P.E.I. passed its bag ban last year, but deliberately gave people, retailers and government planners like Hughes plenty of time to adjust. Hughes said there were some hiccups along the way, but nothing they couldn't handle. "The public expects government to take action on this. Just allow sufficient time for the consumers and the businesses to make the transition," he said. Of course, some groups aren't waiting for government to take the lead. Bag ban, or bag fee? 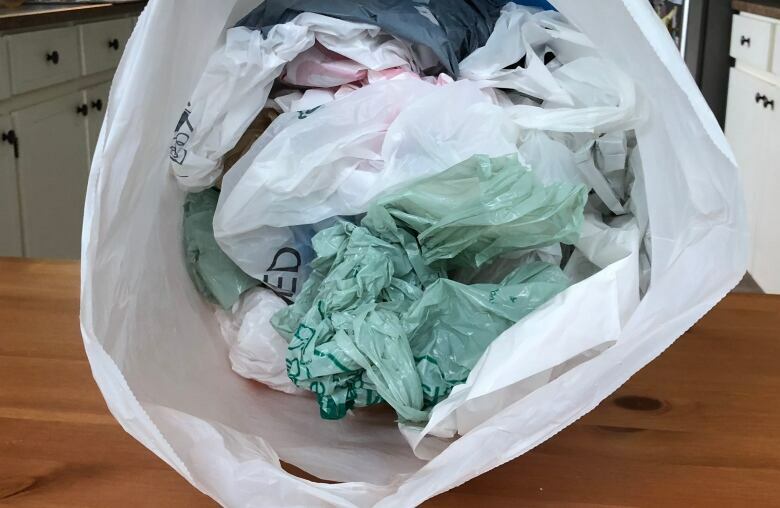 The Northern Labrador communities of Nain, Rigolet, Hopedale, Makkovik and Postville already have bylaws banning plastic bags. So does Fogo Island. Last year, the Newfoundland and Labrador Liquor Corporation stopped using plastic bags. Some private sector retailers, like Walmart, have started charging a fee for them. I stopped by a Walmart in St. John's and noticed many customers were in fact carrying reusable bags. But when I asked those same people if they support banning plastic bags, many weren't so sure. "As a mother, I put the dirty diapers in the bags. I know it still goes in the garbage, but it saves my garbage from stinking a little extra," said one shopper. "I don't like putting meats and stuff in the reusable bags. I'd rather plastic, myself. But everybody's different," said another. A ban is just one of the options government is considering. Other ideas on the table include mandatory fees for plastic bags, having municipalities set their own rules through bylaws, and more public education on waste reduction. But could any of those other strategies actually work? Max Liboiron, an assistant professor in the department of geography at Memorial University, is a renowned expert in the field of plastics. Liboiron said if we're serious about reducing plastic pollution, a bag ban is clearly the best option. "Easy peasy, absolutely. Like, it's been done so many other places. Entire countries, like, say, India do it. It's not rocket science. It's pretty straightforward." But whether it's a bag ban or a bag fee, Liboiron said what matters most is having the whole province onboard. "It would have to be everyone, the entire province, the entire city, charging for plastic for change to happen," she said. "And we know that from Ireland. Ireland was one of the first places that put the pay-to-use system in for plastic bags. And because it was everyone, it transformed the landscape, literally, because there were no more bags flowing around on grass. "So we know that if things are patchy, and uneven, they certainly don't scale the way that a provincewide project would. And I don't care whether it's a pay system or a ban system, as long as it's everybody in the province," she said. In the big picture of climate change and pollution, plastic bags are one small, small part. Liboiron said we have much bigger plastic problems, such as plastic in our sewage, plastic fishing gear and single-use plastic packaging everywhere you look. But what does it say about us if we can't even do the easy stuff? Are we really going to get tangled up in plastic bags? "I always see the bag ban as the first small step in a much larger provincial project of dealing with our marine plastics. If we can't handle this, we can't fix anything. So we need to get our act together and handle this," said Liboiron.